The Yamaha HS8 is the latest generation of Yamaha studio monitors. The HS series is well-known for giving the one of the most brutally honest references possible. Yamaha has been making studio monitors since the 1970’s, but their HS series started in the 2013. The HS series was designed to bring back the classic NS-10 sound that made Yamaha studio monitors famous in the first place. The NS-10 was known for giving a mercilessly flat response and it was said that if your track sounded good on the NS-10, it would sound good on any sound system. The Yamaha HS series are mid-range monitors that offer unbeatable sound for the price. The first thing you’ll notice about these monitors is the 8 inch signature white speaker cone. At the top, you’ll see the 1” soft dome that are common on most studio monitors. The frequency response on these monitors ranges from 38 Hz to 30 KHz, so they offer a full range of sound that will be perfect for producers of all genres. On the back, you’ll find some switches that will let you adjust the highs by +/- 2 dB and the lows by up to 4 dB. These can be helpful if you’re experiencing some sound issues in your room. Also on the back, you’ll find the XLR and ¼-inch jack connections. These offer compatibility with all audio interfaces and professional mixers. 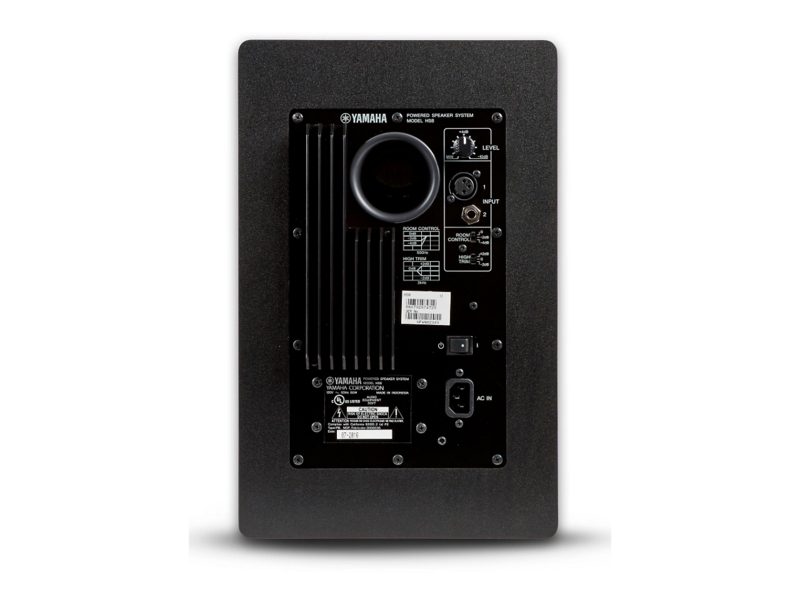 The Yamaha HS8 is one of the most powerful and balanced mid-range monitors weighing in at 120 W total (75 W LF and 45 W HF). For comparison, their close competitor KRK ROKIT 8 is 100 W, making the HS8 much more powerful than the competition. The highs are crisp, the mids are clear, and the bass is punchy. The frequency response is great on these speakers. Compared to other monitors in the same category, the HS8 doesn’t have any weaknesses. When comparing to monitors in the high-end studio monitor category ($1000+), the sound quality could be better in the HS8. The bottom line is that the HS8 is the best-in-class mid-range monitor. The relentless response will let you hear every detail of your tracks, and give you great control over your sounds. Looking for more recommendations? 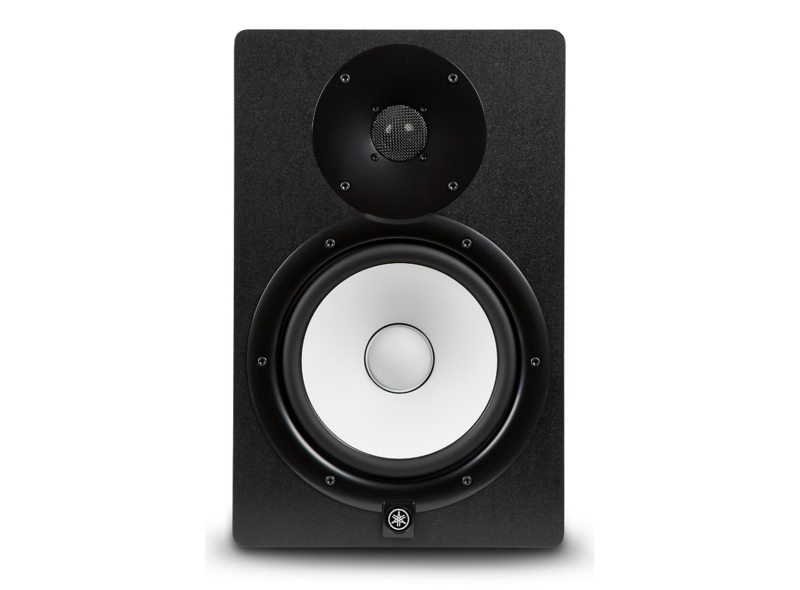 Check out our studio monitors buyer's guide!